How to organize anew the articulation between emancipatory theory and political activism? This is the central organising theme in this edited volume. It represents a major effort and lots of fun by everybody involved. Please read more here about the book. 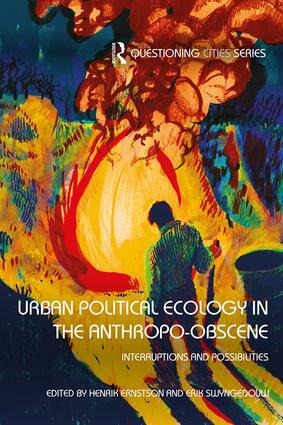 Urban Political Ecology in the Anthropo-obscene: Interruptions and Possibilities centres on how to organize anew the articulation between emancipatory theory and political activism.